As the Philippine Stock market reached the 7,287.29 mark last September 22, 2014, Insular Life’s variable unit-linked (VUL) funds hinged on the equities market also achieved an all-time high Net Asset Value Per Unit (NAVPU) at closing on Monday, September 22, 2014. The Equity Fund recorded a 365.12% yield while the Balanced Fund reached 187.59% return since their inception in March 2005. The Growth Fund, which is on its 3rd year since inception, realized a 74.44% return. This translates to average annual returns of 38.43%, 19.74%, and 20.79% respectively. The Fixed Income Fund, also launched in 2005 achieved an 83.76% return and showed 8.81% average annual return for the same period, clearly showing that Insular Life’s VUL funds outperform the traditional savings instruments’ interest rates. The notable performance of these funds benefits the policyholders of Insular Life’s Wealth Builder, Variable Returns Asset, Wealth Assure and Wealth Secure, including its packages of Wealth Secure Education, Wealth Secure Prime, and Wealth Assure Education. Wealth Builder and Variable Returns Asset are single premium payment products. The return it gives depends on the growth of the chosen fund elected by the policyholder. Part of the investment amount covers for the insurance protection embedded in the product so that if anything happens to the insured, the beneficiaries will get 125% of the premium or the fund value, whichever is higher. On the other hand, Wealth Secure and Wealth Assure together with its packages, are regular pay peso-denominated, investment linked insurance products. Similar to their single pay counterparts, yields depend on the chosen fund elected by the policyholder. However, these set of products offer more flexible choices to policyholders in terms of adjusting their insurance coverage and premiums depending on their need at a particular stage of their life. 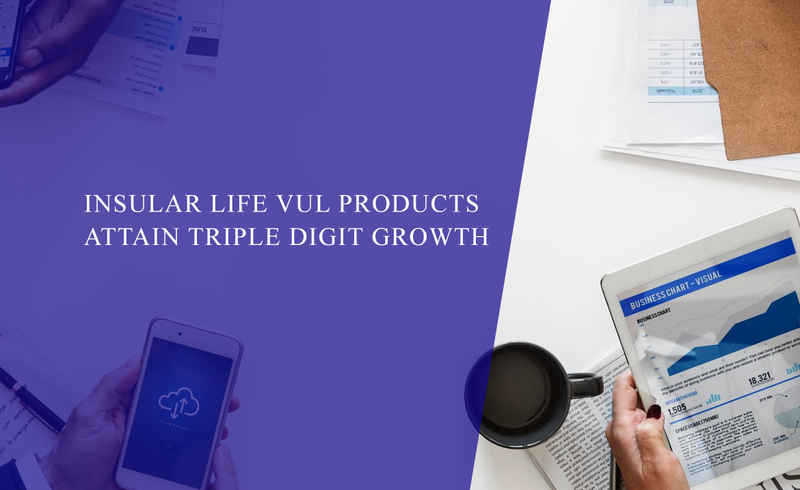 VUL products’ long-term purpose is directed towards financial risk protection and funding family expenses such as education and retirement. “The opportunity to yield better returns than what the current traditional savings instruments are offering must be given great consideration by an individual. With the historical returns of our Wealth Series funds, policyholders are assured that the value of their money is preserved as their funds generate earnings higher than inflation.” added Hofileña.